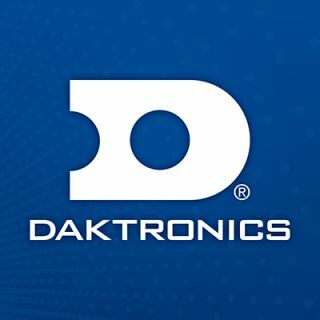 Daktronics has partnered with the Westchester County Center, located in White Plains, New York, to design, manufacture and install a total of 10 LED video displays for the facility. All displays were installed this fall to be ready to entertain and excite fans of the multiple events the facility can accommodate, including a variety of conventions and the New York Knicks development league team. On the outside of the center, seven displays are strategically placed to advertise upcoming events and provide facility branding. Two marquee displays measure 8.5 feet high by 14.5 feet wide and five banner displays hanging above the entrance to the facility measure 14.5 feet high by 9.5 feet wide. All of these displays feature a 13HD pixel layout for superior image clarity and contrast while incorporating industry-leading environmental protection. The banner displays fit between the column architecture of the building replacing a common space for static signage with versatile, digital display space where messages can be adjusted and changed at the click of a button with Daktronics easy-to-use control solution. Inside the venue, two main corner displays measure approximately 10 feet high by 19 feet wide and include 10-millimeter line spacing. Both of these displays provide excellent image clarity and contrast with wide angle visibility to appeal to every seat in the venue. Each display is capable of variable content zoning which allows them to show one large image across the entire display or to be separated into multiple zones. These zones can show any combination of live video, instant replays, event statistics and information, animations, and sponsorship messages.